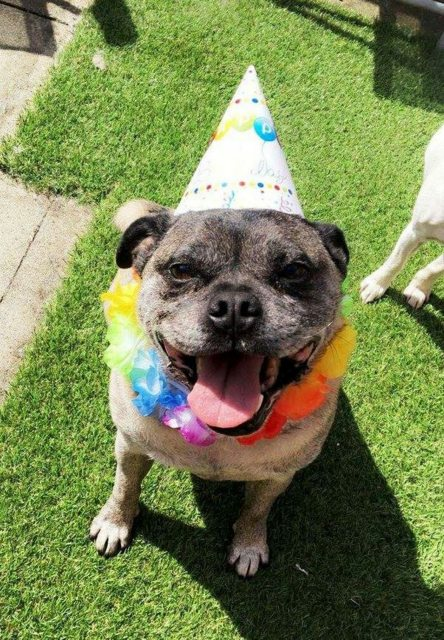 Brandy is a 1 year old male Pug Cross. 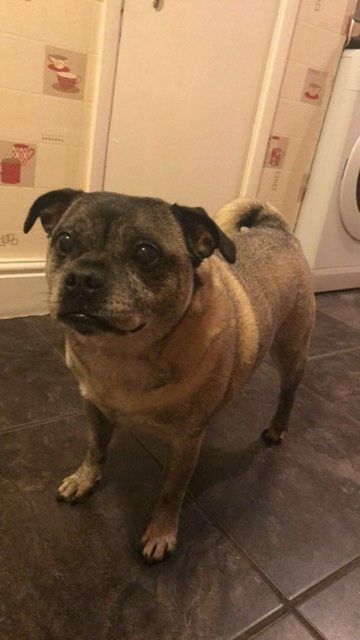 Cute little Brandy is a male Pug cross with a light unusual brindle coat. Brandy has had an appalling start in life as he missed out on vital early socialisation which resulted in him being dog reactive when on lead, although he will run away from dogs if off lead. 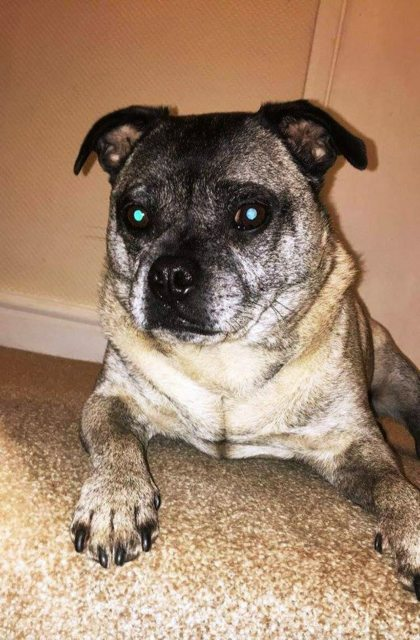 Although Brandy currently lives with a female Jack Russel Terrier who is 14, he just about puts up with her, and so we are looking for a home with no other dogs , or children or cats, He just needs a quiet lap to settle on and hes as happy as larry.